At this page we display all our products and their prices. To place an order, please start by choosing your preferred design/ pattern and colour/ finish in the Configurator. All your new doors and drawer fronts will then be produced in that combination. Side panels and Kickboards etc will also be produced in that same colour. Then continue and add all your items into the same Cart and head for Checkout. If you just want to check the prices, just skip the Design & Colour part for now and just add your preferred items below into the Cart as neither the chosen design nor the colour will have any impact on the final cost. We just need that information before we start the production. Please note: These pictures are computer generated as reference only and the colours may have a different look in real life. We suggest you request our free colour samples before you make your final decision. Door for a corner cabinet. Right Hung – 3 hinges. Front for a dishwasher. Please note: will only fit if replacing existing front (not all dishwashers are able to have a front). Left Hung – 3 hinges. 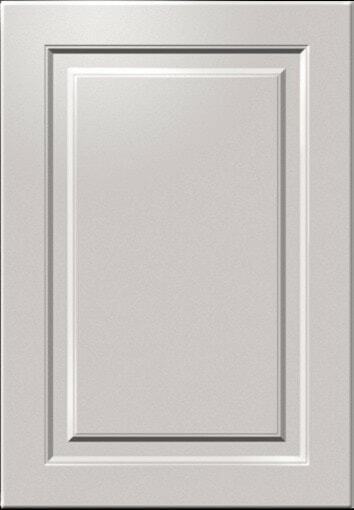 Add this to the cart and all glass panel doors will be fitted with this glass. If no choice is made, all glass panel doors will be fitted with window clear glass. Covers the side of a wall cabinet. Covers the side of a wall cabinet + an 18 mm front. Covers the side of a base cabinet. Height = a 70 cm cabinet + replacing a 15 cm high plinth. Height = a 70 cm cabinet + replacing a 16 cm high plinth. Covers the side of a base cabinet + an 18 mm front. Height = a 70 cm cabinet + replacing a 15 cm high plinth. Width= a base cabinet + a 18 mm front. Height = a 70 cm cabinet + replacing a 16 cm high plinth. Width= a base cabinet + a 18 mm front. A side panel 60×70 cm. We provide side panels in other dimensions than the above. Please send us a message and we will be happy to add them to the ordering system for you. 30 cm wide. 70 cm tall. 58 cm deep. 4x adjustable legs approx 14,5 – 17 cm are included. 40 cm wide. 70 cm tall. 58 cm deep. 4x adjustable legs approx 14,5 – 17 cm are included. 45 cm wide. 70 cm tall. 58 cm deep. 4x adjustable legs approx 14,5 – 17 cm are included. 50 cm wide. 70 cm tall. 58 cm deep. 4x adjustable legs approx 14,5 – 17 cm are included. 60 cm wide. 70 cm tall. 58 cm deep. 4x adjustable legs approx 14,5 – 17 cm are included. 60 cm wide. 70 cm tall. 58 cm deep with extra hardware for installing an oven. 4x adjustable legs approx 14,5 – 17 cm are included. 80 cm wide. 70 cm tall. 58 cm deep. 4x adjustable legs approx 14,5 – 17 cm are included. 40 cm wide. 195 cm tall. 58 cm deep. 4x adjustable legs approx 14,5 – 17 cm are included. 60 cm wide. 195 cm tall. 58 cm deep. 4x adjustable legs approx 14,5 – 17 cm are included. 30 cm wide. 70 cm tall. 35,5 cm deep. 30 cm wide. 92 cm tall. 35,5 cm deep. 40 cm wide. 70 cm tall. 35,5 cm deep. 40 cm wide. 92 cm tall. 35,5 cm deep. 45 cm wide. 70 cm tall. 35,5 cm deep. 45 cm wide. 92 cm tall. 35,5 cm deep. 50 cm wide. 70 cm tall. 35,5 cm deep. 50 cm wide. 92 cm tall. 35,5 cm deep. 60 cm wide. 70 cm tall. 35,5 cm deep. 60 cm wide. 92 cm tall. 35,5 cm deep. 80 cm wide. 70 cm tall. 35,5 cm deep. 80 cm wide. 92 cm tall. 35,5 cm deep. Shelves made of tempered glass. For a 60 cm wide and 35,5 cm deep cabinet. Set of 3x. Plugs included. Shelves made of tempered glass. For a 80 cm wide and 35,5 cm deep cabinet. Set of 3x. Plugs included. 26,1 x 34,7 cm. For a wall cabinet 30 cm wide, 35,5 cm deep. Set of 2x. Plugs included. 26,1 x 34,7 cm. For a wall cabinet 30 cm wide, 35,5 cm deep. Set of 3x. Plugs included. 26,1 x 57,2 cm. For a base cabinet 30 cm wide, 58 cm deep. Set of 2x. Plugs included. 36,1 x 34,7 cm. For a wall cabinet 40 cm wide, 35,5 cm deep. Set of 2x. Plugs included. 36,1 x 34,7 cm. For a wall cabinet 40 cm wide, 35,5 cm deep. Set of 3x. Plugs included. 36,1 x 34,7 cm. For a base cabinet 40 cm wide, 35,5 cm deep. Set of 2x. Plugs included. 46,1 x 34,7 cm. For a wall cabinet 50 cm wide, 35,5 cm deep. Set of 2x. Plugs included. 46,1 x 34,7 cm. For a wall cabinet 50 cm wide, 35,5 cm deep. Set of 3x. Plugs included. 46,1 x 57,2 cm. For a base cabinet 50 cm wide, 58 cm deep. Set of 2x. Plugs included. 56,1 x 34,7 cm. For a wall cabinet 60 cm wide, 35,5 cm deep. Set of 2x. Plugs included. 56,1 x 57,2 cm. For a base cabinet 60 cm wide, 58 cm deep. Set of 2x. Plugs included. 76,1 x 57,2 cm. For a base cabinet 80 cm wide, 58 cm deep. Set of 2x. Plugs included. Hinge purpose made for IKEA Faktum. SoftClose and SelfClose functionality built in. 2 hinges per door are needed to experience the SoftClose and SelfClose. Set of 2.